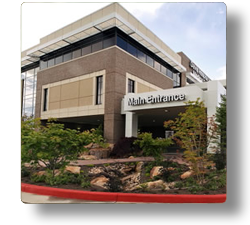 Davis Hospital and Medical Center In Partnership With Physician Owners opened in 1976 and has been providing high quality healthcare in Layton, Utah for over 35 years. Davis Hospital has become the hospital of choice for its community by providing local residents convenient access to expert medical services. Since opening, Davis has grown along with the community. Using advanced medical technologies, Davis Hospital offers comprehensive health care services such as: emergency care, heart care, advanced surgical procedures, diagnostic imaging, maternity care, women’s services, cancer services and help for a broad range of medical conditions. Our team is comprised of highly skilled medical staff and nurses who keep a relentless focus on quality and consistently perform amongst the best in the nation in Core Measures. Our patient satisfaction and clinical outcomes continue to improve year after year. Davis Hospital is committed to continually improving the quality of life for our community by providing excellent healthcare. The Mission of Davis Hospital and Medical Center is to be the health care center of excellence where, based upon our respected values, we provide superior care and services, which will improve the quality of life for the people and communities we serve. Davis Hospital and Medical Center must be the best acute care community hospital in America. Davis Hospital is located in Layton, Utah. Layton is a beautiful community located about 30 minutes north of Salt Lake City. Residents enjoy all the things that make this area unique, including beautiful mountainous landscapes, year-round recreational activities, friendly, affordable neighborhoods, excellent schools, great restaurants, sporting events and shopping. 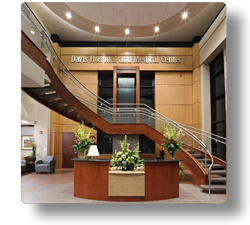 Davis Hospital is a physician-owned hospital that brings world-class medical expertise and compassion to the care of every patient.